Cablevision subscribers can now watch cable TV on their iPhones or iPod touch devices, thanks to the cable-TV provider extending the functionality of its iPad app to all of Apple’s iOS devices. 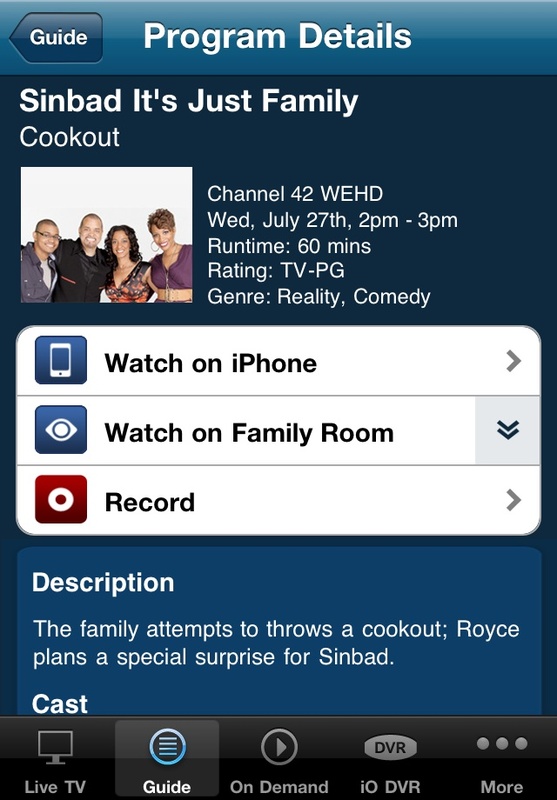 The new app allows Cablevision customers to access live-TV channels as well as thousands of VOD titles. It also acts as a remote control for Cablevision’s set-top boxes, allowing customers to change channels and other settings. Cablevision first launched its iPad app in April. The new release extends its functionality to the iPhone and iPod touch, while also bringing remote control features to the iPad app. However, it doesn’t solve two key issues: Consumption of live and VOD TV is restricted to a subscriber’s home, making it impossible to view programming on the go. That may have been a minor issue for the iPad, since it could work well as a replacement for the bedroom or as a “TV” for kids. However, one has to wonder how many people will watch live television on the small iPhone screen while at home. Another unresolved issue is that some cable programmers don’t like the idea of programming becoming available on mobile devices, in home or otherwise. Time Warner Cable, which has been offering similar functionality since March, initially got pressed by a number of channels to take its programming off its iPad app. It was eventually able to strike agreements with these programmers, but Cablevision wasn’t so lucky: MTV and Comedy Central owner Viacom sued the cable provider in June, arguing that it doesn’t have the necessary rights to bring its channels to the iPad.